After learning what uterine fibroid embolisation is, it is important to understand the various treatment options. A new technique is available that allows doctors to treat fibroids from the radial artery in the wrist. What does this mean? – A transradial approach for uterine fibroid embolisation uses the artery in the wrist as the entry point to the arterial system, from which the uterine arteries eventually arise, rather than the more traditional femoral artery approach via the groin. Easier access – The radial artery is located close to the surface of the skin, which makes catheter/wire entry easier and more comfortable for patients. We always use the left radial artery. Fewer complications – The transradial approach makes it easier to control bleeding and identify bleeding complications quickly. After the procedure, our patients can literally step off the theatre bed and begin their recovery. They are able to either sit up in bed, or if they feel like it, walk around their bed in the ward. This improves the tolerance of the post procedure pain. Increased comfort – Entry through the wrist rather than the groin can or may be faster, more convenient, and more comfortable for patients. Once the wires/catheters have been removed from the radial artery, the small hole is sealed with using an air-filled wristband, which you wear for 4 hours. This is painless. Faster recovery – Femoral procedures require patients to lie quietly on their backs for 6-8 hours. Once the wires/catheters have been removed from the femoral artery, manual pressure is usually applied to the groin for up to 10 minutes. This might often prove uncomfortable. With this procedure patients are up and walking immediately after their procedure. Potential risks and complications – Patients are carefully selected prior to commencing an approach via the radial artery. Small percentages are not suitable for such an approach since their radial artery is the sole artery that supplies blood to the hand. One of our doctors will evaluate your radial artery by compressing the artery while measuring the flow of blood to your hand. This is a quick and totally painless, bedside procedure done on the morning of the embolization. Background – The first transradial approach for uterine fibroid embolisation, a coronary angiogram, was performed in Montreal, Canada in 1989. 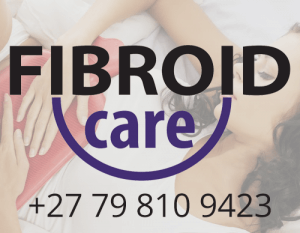 Today, the best fibroid doctors in south Africa are now performing the radial artery procedure more and more. Femoral artery access remains the traditional method of doing angiography. The introduction of the transradial approach offers our patients another alternative when they are choosing uterine fibroid embolisation.